Internationally renowned motivational speaker and spiritual life coach Iyanla Vanzant is bringing her wisdom back to the stage as she celebrates the re-release of her international best-seller, Acts of Faith! 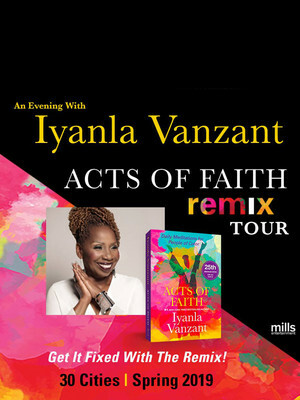 The Acts of Faith Remix spring tour celebrates the 25th anniversary of the book's release with Iyanla Vanzant sharing her transformative work. Best known for her horizon-broadening, best-selling books, Emmy-winning Fix My Life talk show and guest spots on the Oprah Winfrey Show, Vanzant unlocks potential and sets things straight with a blend of tough love, humour and tenderness. Don't miss this chance to reflect, reset and renew in the company of the motivational fields most pre-eminent figures. Seen Iyanla Vanzant? Loved it? Hated it? Sound good to you? Share this page on social media and let your friends know about Iyanla Vanzant at Fox Theatre. Please note: The term Fox Theatre and/or Iyanla Vanzant as well as all associated graphics, logos, and/or other trademarks, tradenames or copyrights are the property of the Fox Theatre and/or Iyanla Vanzant and are used herein for factual descriptive purposes only. 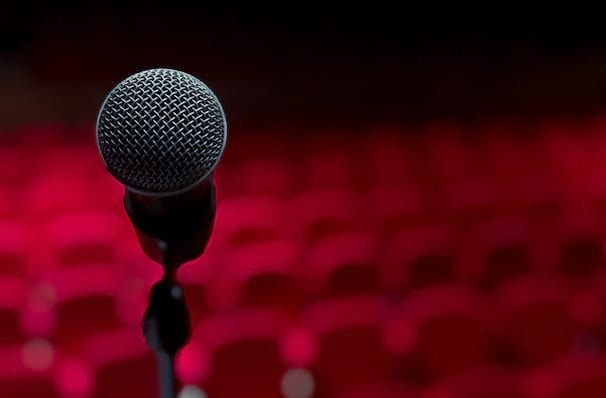 We are in no way associated with or authorized by the Fox Theatre and/or Iyanla Vanzant and neither that entity nor any of its affiliates have licensed or endorsed us to sell tickets, goods and or services in conjunction with their events.